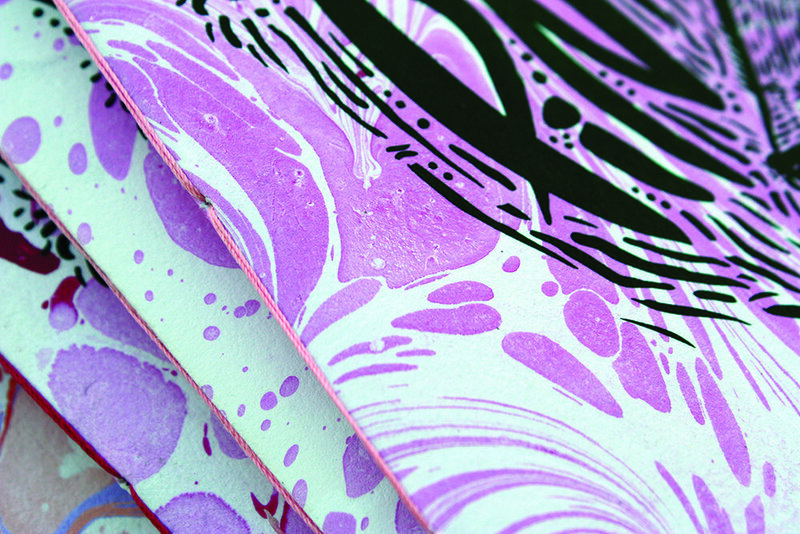 Marbling Notebooks is a personal project aiming to experiment by combining marbling & silkscreen. 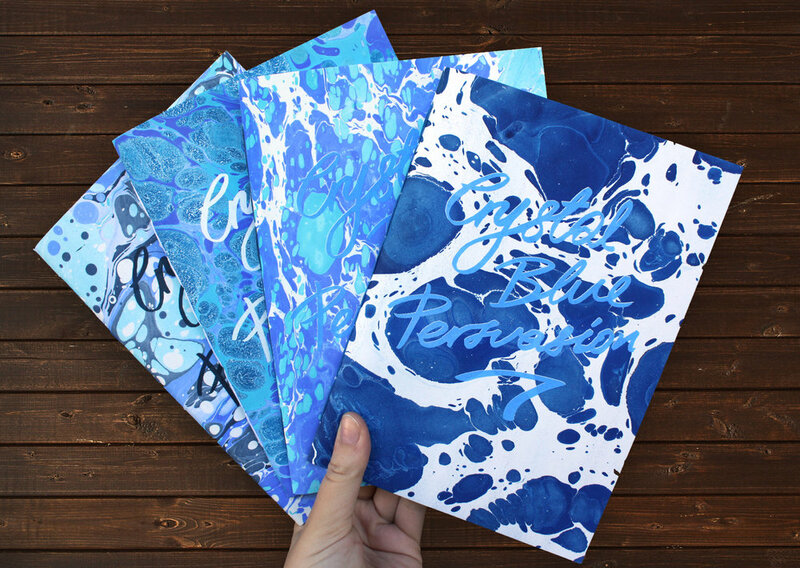 Marbled papers with screen-printed quotes or illustrations on top, are then bound into limited series of unique notebooks. 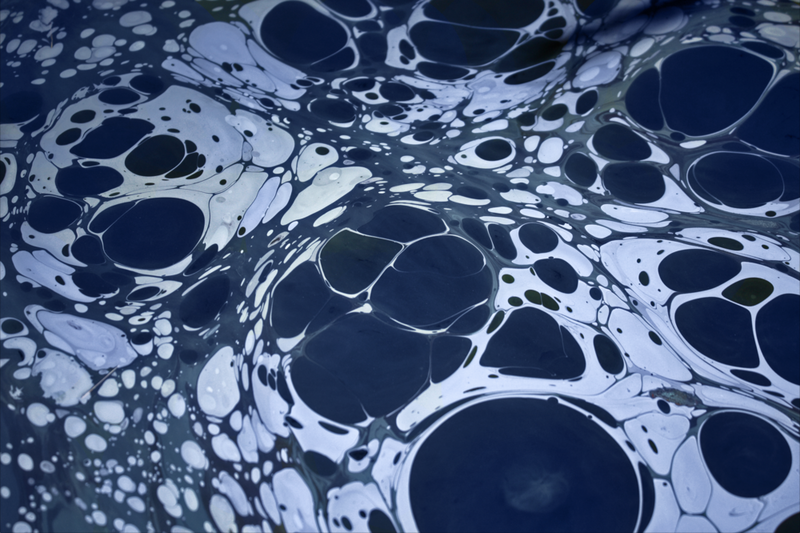 Each series is color themed & inspired by a different song. 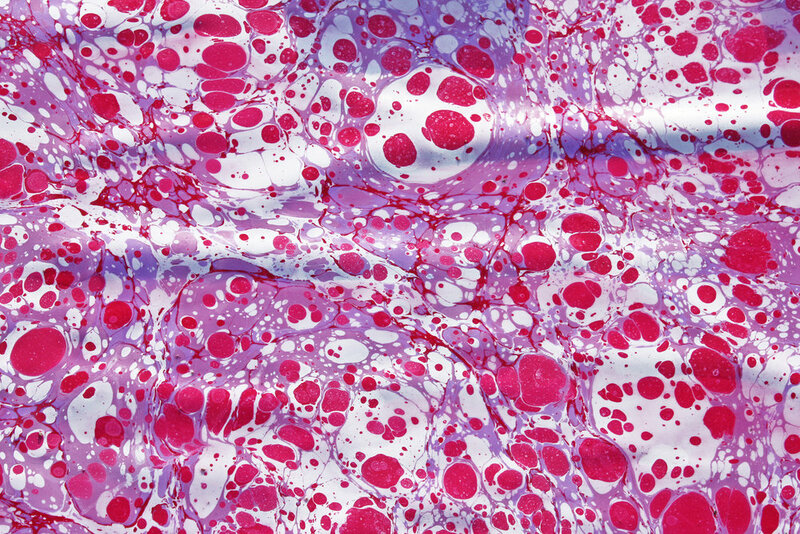 The techniques used to marble the papers varied from the traditional Ebru using Carageenan mix to Marbling inks.